Indonesian government policies fail to manage forest resources because they lack resources such as money and human resources for supporting of their goals. Besides, most of the policies are base on textbook and they do not down to earth so the best one to solve is to understand of the local contexts. As a result, Improving the local institutions that supports for decentralisation and participation of natural resource management is an appropriate way to re-allocate the resources. This initiative can be useful for developing the forest and community on the sustainable way. 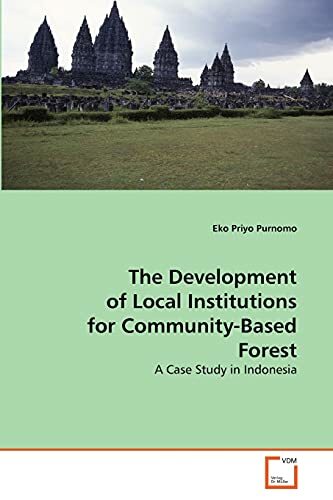 This book explains the best way to solve the forest management in Indonesia and recommends for development of local institutions. Consequently, this book is highly recommended for practitioners, policy makers, researchers and student who focus on forest management.